Order an iPad 3 now and you're not going to get one when the new tablet officially goes on sale, on Friday, 16 March. 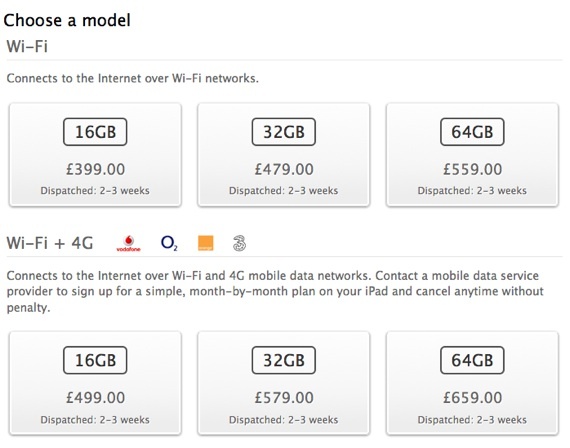 Apple's UK website is currently listing the ship window for both black and white iPad 3s, be they Wi-Fi only or Wi-Fi and 4G, as "2-3 weeks". So you're unlikely to get one without queuing round the block at your nearest Apple store until 26 March.